Wine Suppliers and Distributors in West Virginia need to be bonded. 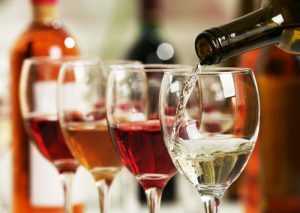 West Virginia wine suppliers and distributors help provide wine to clients such as beverage stores, grocery stores, and restaurants. It’s crucial for them to form a good working relationship with each other in order to enjoy a successful business. A wine supplier is a manufacturer, producer, processor, winery, farm, or other suppliers of wine that sells to a licensed distributor. In most cases, a wine supplier in West Virginia must use a distributor, who purchases wine from a licensed wine supplier to sell or distribute to other businesses. West Virginia’s Department of Revenue, Alcohol Beverage Control Administration, issues and renews licenses for suppliers and distributors. The licensing period for both begins on July 1 each year. The license fee for wine suppliers is $150 a year, and the fee for a distributor is $2,500 a year. A person may not be licensed as both a distributor and a retailer. Also, a person may not be licensed as both a supplier and retailer unless they are a winery or farm winery. Both suppliers and distributors are required to obtain a $10,000 surety bond, and premiums are due yearly. Distributors need a separate bond for each location or place of business where wine is distributed, sold or delivered. The bond guarantees faithful performance and compliance with industry laws and regulations, which includes paying the liquor tax and fees. Failure to comply could result in a claim filed against the bond. If a supplier or distributor is not bonded or does not keep their bond current, their license will be suspended until a bond is provided. A surety bond must be purchased from a surety company that is licensed to do business in West Virginia. SuretyGroup.com is licensed to write all bonds in West Virginia and fulfills that requirement. Contact the Surety Bond Specialists at SuretyGroup.com for a free quote that fit your specific bonding needs. Email us at info@suretygroup.com, apply online, or call 844-432-6637.